At American Glass Coatings, we decorate your glass and to suit the interior design of your home or business environment. We have a huge range of decorative and designer film options. Want to improve the look and feel of your office and home at a cost effective price? Thanks to our decorative window films, now any flat glass surface can be turned into a work of art, whether it’s an office, child’s room, restaurant or bathroom. 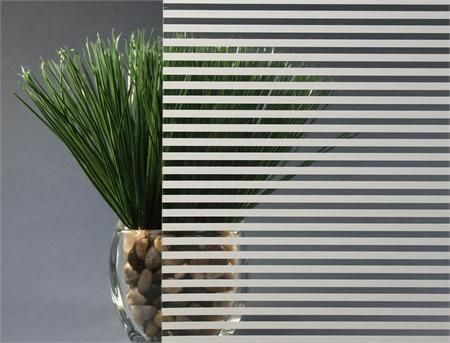 Installation of decorative and privacy window films adds style and privacy to your home or office space at a fraction of the price of etched glass. American Glass Coatings has installed decorative window films to numerous businesses in South Florida and neighboring areas. The films help in saving energy and make your office more comfortable to work. Decorative window films reduce energy consumption and provide your office interiors an attractive layout, while keeping out unwanted glare of the sun. American Glass Coatings’ decorative office window films protect you, your customers and employees from harmful Ultra Violet (UV) rays as well as your office’s furnishings from fading. The decorative film for windows come in several shades and patterns and can easily be removed and replaced, to update the style of the window in future. Frosted films do not cut much of the ambient light, allowing diffused light to enter into the room. Decorative window films are professionally installed by our well trained and IWFA accredited installation specialists . Being a quality focused organization; we install best quality decorative window films to improve the appearance and feel of any office or home. Our association with industry leading bodies like The National Fenestration Rating Council (NFRC), The ASIS International, American Society of Interior Designers (ASID), Energy Star, American Institute of Architect (AIA), National Glass Association (NGA), and International Window Film Association (IWFA) is an assurance that you will get best quality window films for UV protection, heat reduction, glare control, safety, security and privacy from American Glass Coatings.